Since the outbreak of cholera in Haiti in 2010, the UN has yet to accept legal responsibility for the epidemic, although it is widely accepted in the medical and scientific fields that the presence of UN peacekeeping forces is what caused it. It took five years for Secretary General Ban Ki-moon to admit to the UN’s moral responsibility to Haitians in light of the conflict, and Special Rapporteur Philip Alston comments on the poor legal advice that may have gotten the UN to this point. Part of the article is below. Click HERE for the full article. With only two months left in office, U.N. Secretary-General Ban Ki-moon has announced a $400 million planto eradicate cholera in Haiti, known as the Haiti Cholera Response Multi-Partner Trust Fund (MPTF). 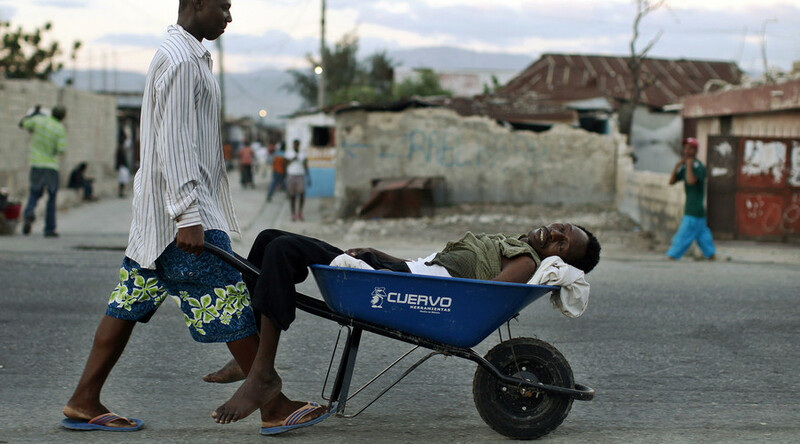 Close to 10,000 people have died and around 800,000 people have been infected in Haiti as a result of a cholera epidemic introduced by U.N. peacekeepers in 2010 in the wake of the earthquake that devastated the country. The United Nations surprised the world with its refusal to apologize to the Haitian people and admit legal responsibility for failing to properly screen its peacekeepers from illnesses. The argument? Legal immunity from lawsuits in national courts, a stance that the U.N. continues to hold onto despite the serious criticism that the organization has received since the epidemic started. The U.N.’s unwavering position has raised serious questions about a double-standard, particularly from an organization that has always proclaimed the importance of fundamental principles that include accountability. To no one’s surprise, the U.N.’s reputation has taken a toll for the organization’s actions and inactions. After all, it took five years since the outbreak and various calls for U.N. accountability for Secretary-General Ban to publicly state that the U.N. bears a “moral responsibility” to help the cholera victims, and yet, the U.N. has not admitted legal responsibility or offered an apology to the Haitian people.